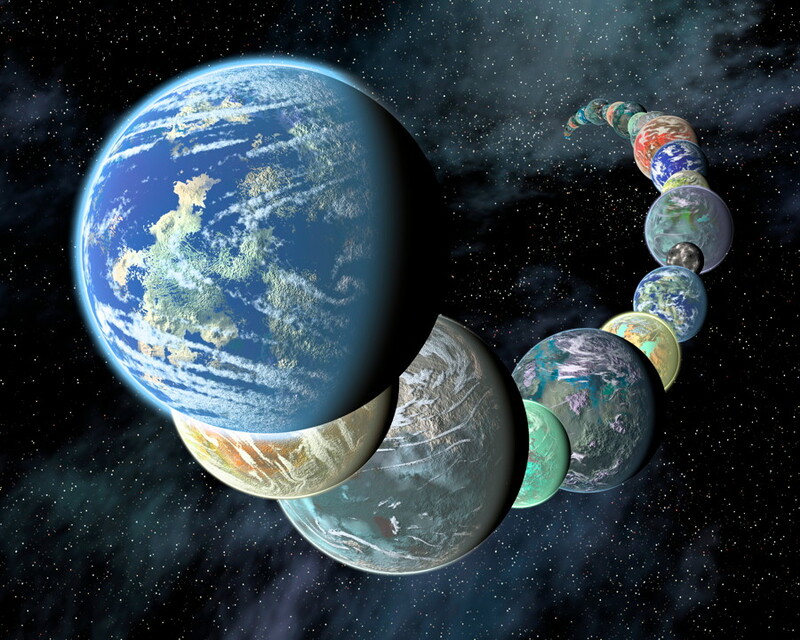 While exoplanets are now being discovered by the thousands, it is still a painstaking process to determine any specific details about them, since they are so incredibly far away. However, astronomers have been devising new techniques to do just that, including one that makes it easier to analyze the property of clouds on some of these distant worlds. The new technique was developed by a team of researchers at MIT, in the Department of Earth, Atmospheric, and Planetary Sciences (EAPS). The paper, soon to be published in the Astrophysical Journal, uses data from the Kepler space telescope. The team is led by Kerri Cahoy, an assistant professor of aeronautics and astronautics at MIT. In the paper, the team focused on the exoplanet Kepler-7b, a “hot Jupiter” which is about 1.5 times larger than Jupiter but has only half the mass. It orbits close to its star, Kepler-7, in only five days. Kepler-7 is in the constellation Lyra, between 1,000 – 1,400 light-years from Earth. The researchers examined the light signal coming from Kepler-7b, based on the fact that by studying the amount of light coming from such exoplanets during transits of their star, clouds could be detected. Models of the planet’s atmospheric pressure and temperature were used to determine what types of clouds might form in that atmosphere. The resulting data indicated that the clouds would likely be composed of vaporized silicates and magnesium – a lot different than clouds on Earth. 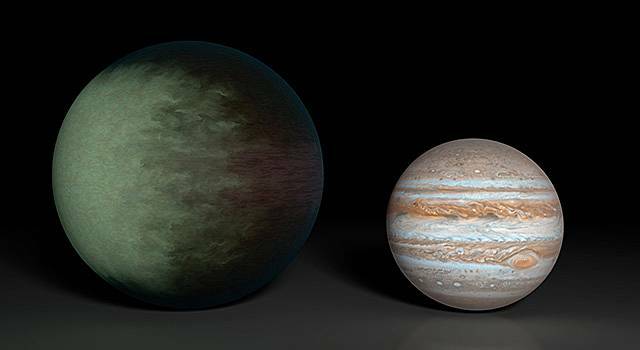 This is due to the extremely high temperatures on Kepler-7b, where these minerals would be turned into vapor high up in the atmosphere, and then form clouds as they cooled and condensed at lower altitudes. The clouds would cover about half of the planet’s day side; Kepler-7b is tidally locked, so the same side of the planet always faces its star, similar to how the same side of the Moon always faces the Earth. 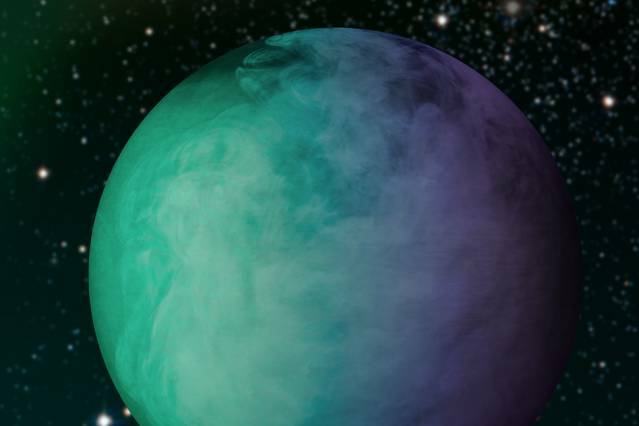 The clouds of Kepler-7b had been first mapped in 2013, but the new data provides more information about their composition. Knowing more about clouds on Kepler-7b, or other exoplanets, can also help astronomers to understand the atmosphere better as a whole. 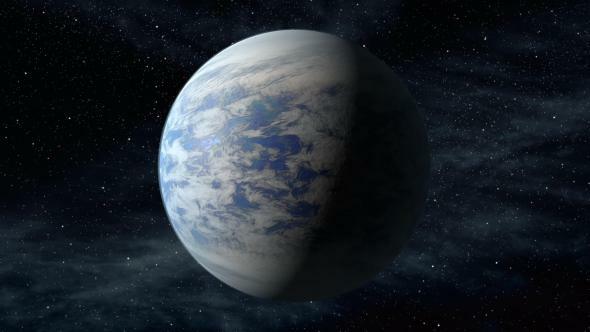 As team member Nikole Lewis noted, “It’s one of the few methods out there that can help you determine if a planet even has an atmosphere, for example.” The characteristics of any cloud cover could also affect a planet’s potential habitability (although in Kepler-7b’s case, it is too hot for that anyway). “So right now we are looking at these big gas-giant planets because they give us a stronger signal,” she says. “But the same methodology could be applied to smaller planets, to help us determine if a planet is habitable or not,” Lewis added. A good example of this is in our own Solar System. Venus is almost the same size and mass of Earth, but its thick cloud cover and carbon dioxide atmosphere have rendered it virtually uninhabitable by Earthly standards, with temperatures hot enough to melt lead and crushing pressures at the surface. 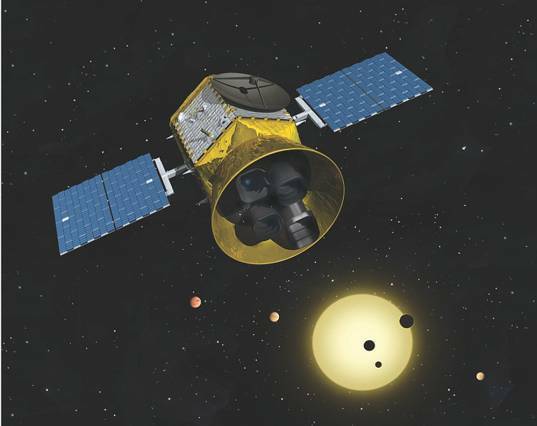 The researchers are hoping to use the new technique with data from the upcoming Transiting Exoplanet Survey Satellite (TESS) mission, which will search more stars than Kepler can for more exoplanets. New techniques such as this should help astronomers study the atmospheres and clouds of many exoplanets in the years to come, bringing us closer to determining how many other habitable worlds may be out there.